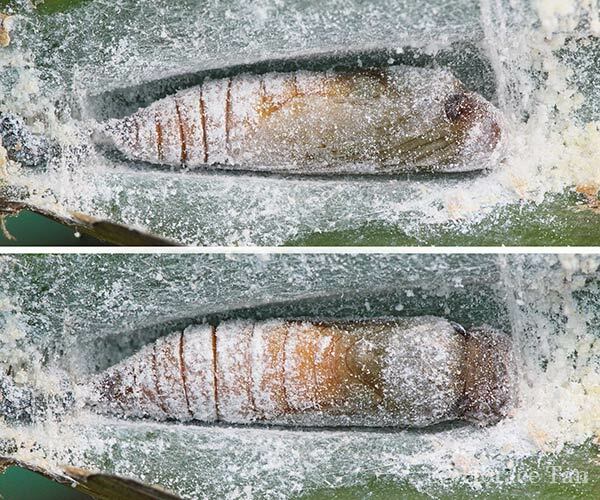 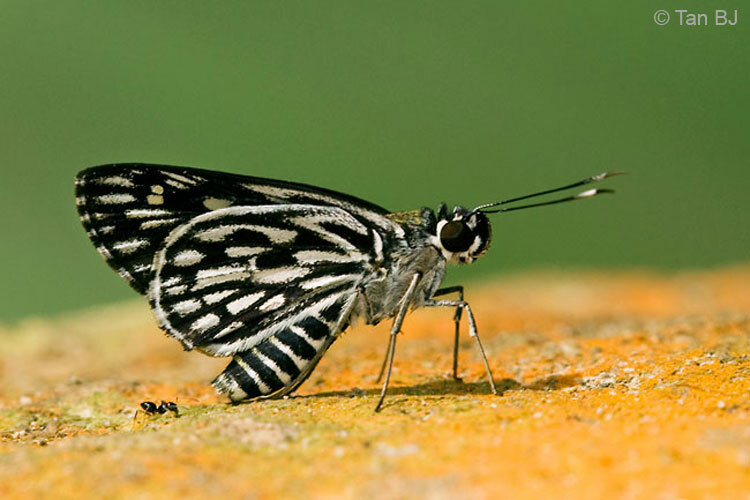 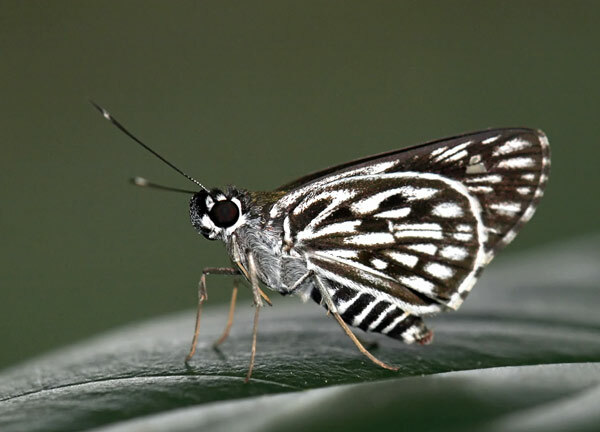 The underside of the butterfly has a striking pattern of black veins and rectangular spots on a whitish ground. 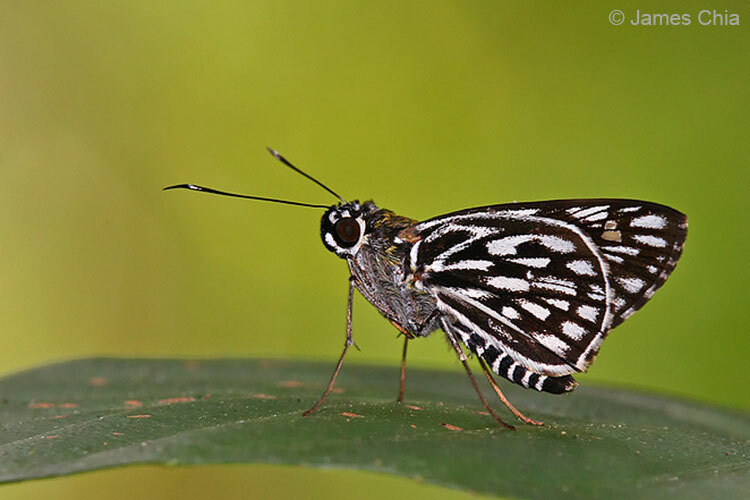 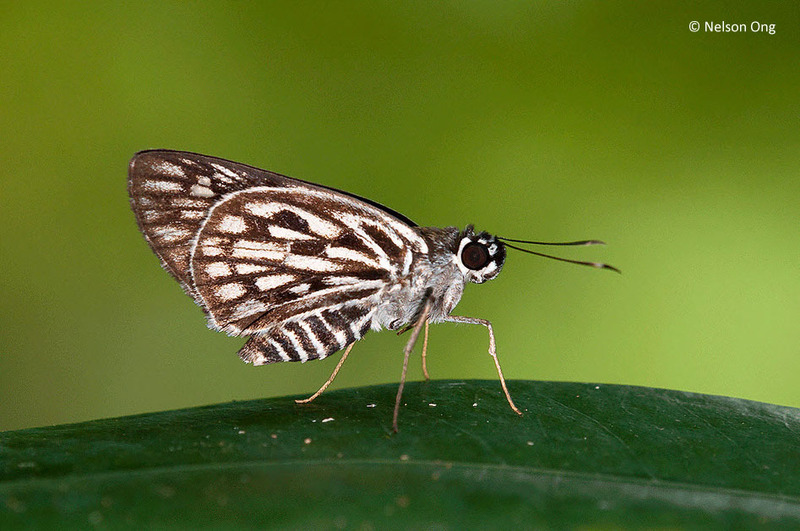 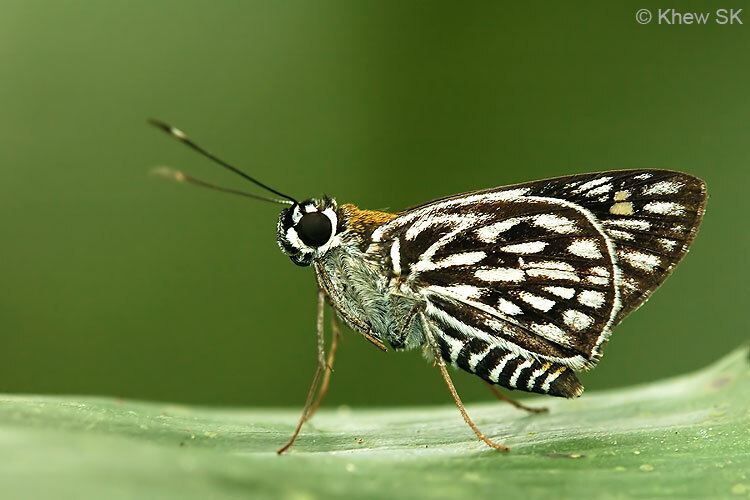 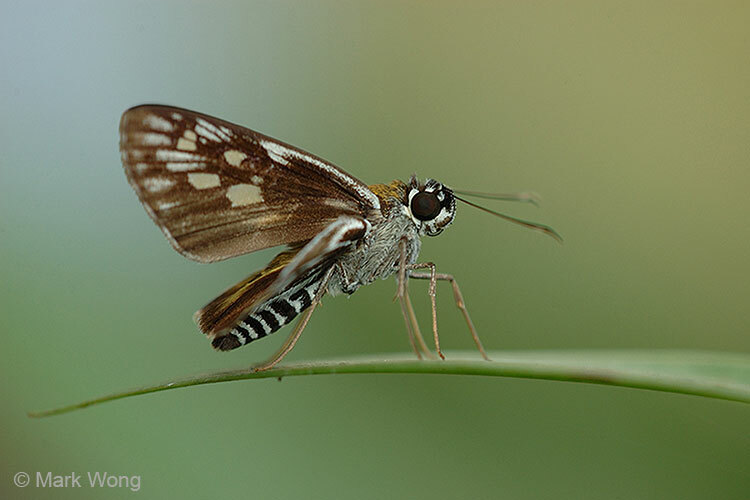 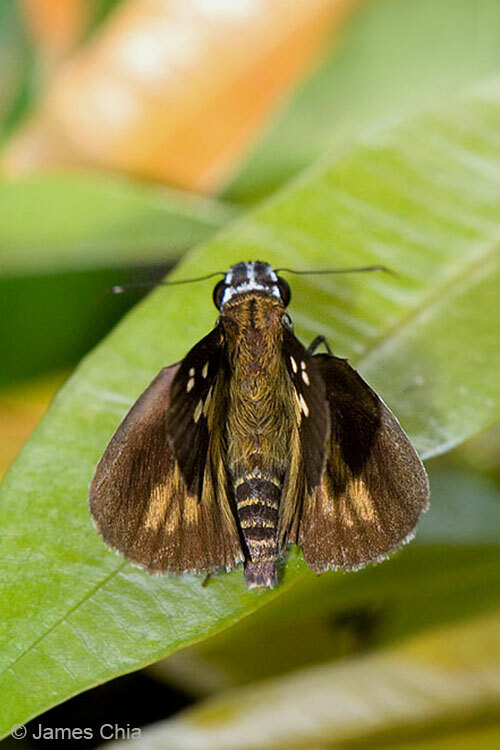 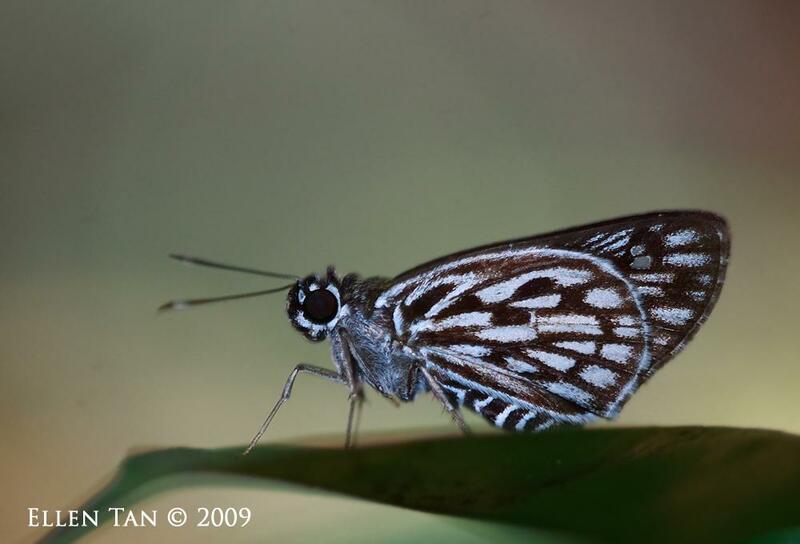 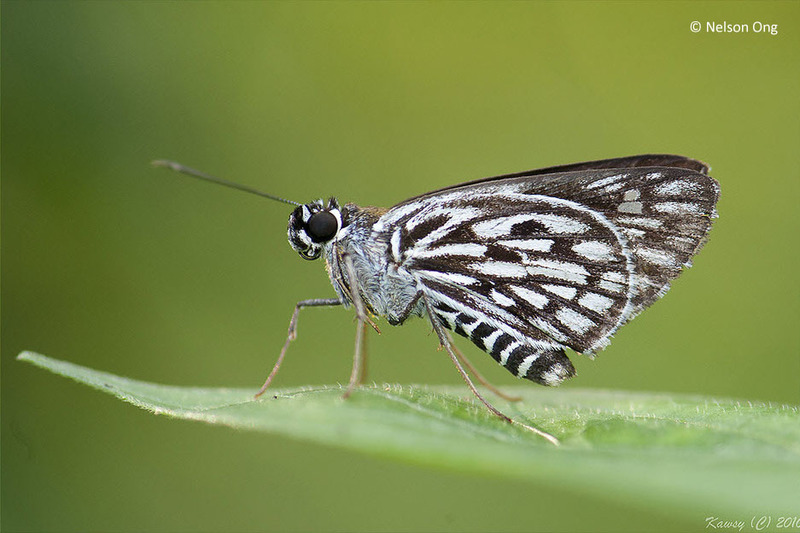 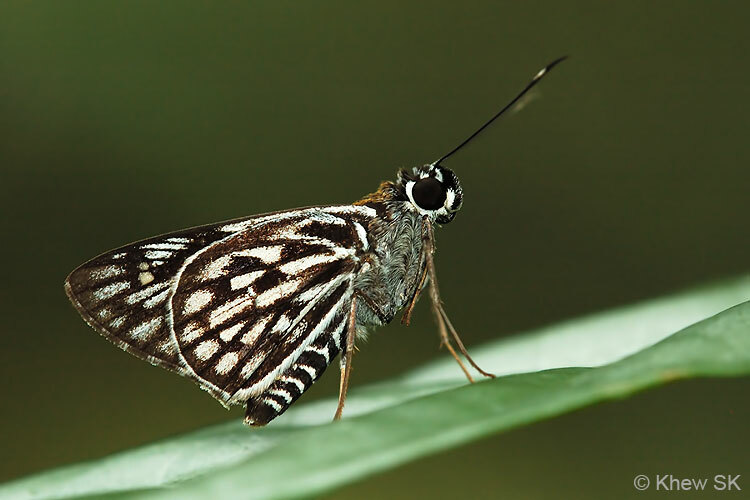 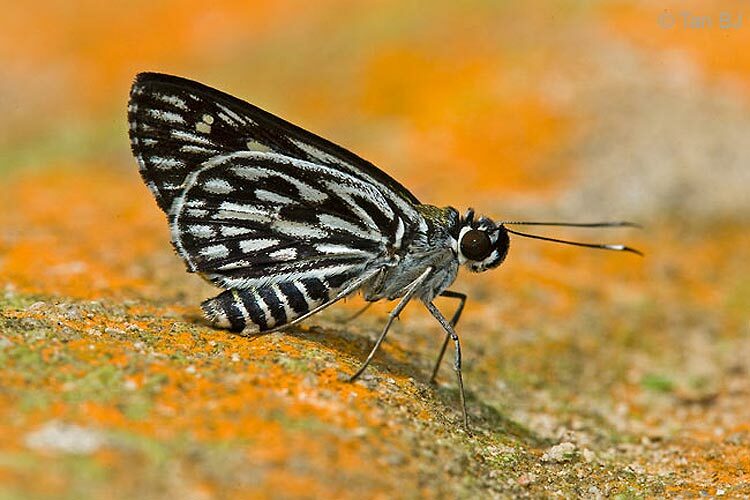 This spectacular "Skipper" frequents lowland forests like the nature reserves in Singapore. 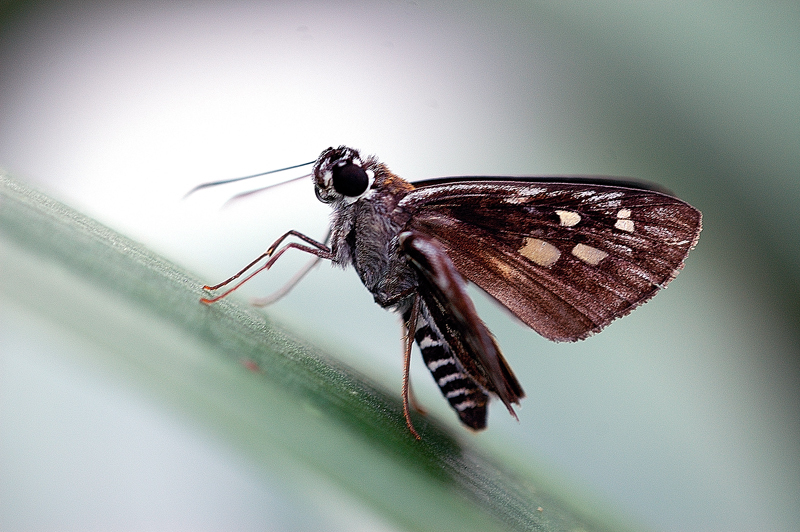 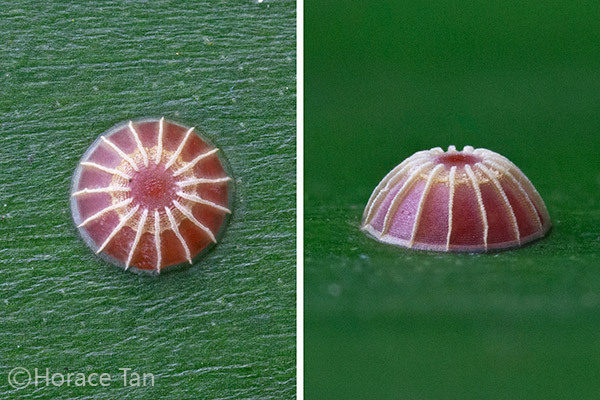 A member of the Family Hesperiidae, Plastingia naga is a fast flyer, zipping from bush to bush, and occasionally stops to feed on roadside flowers. 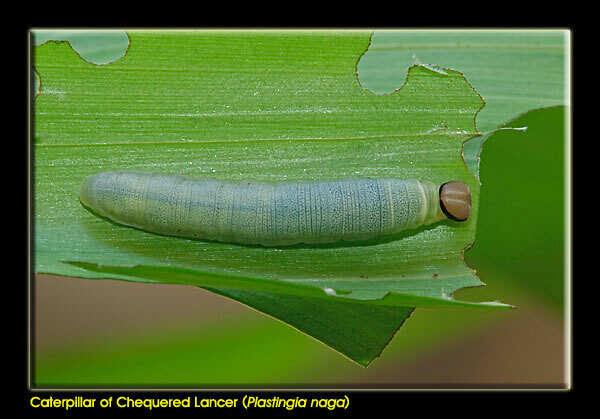 Refer to the ButterflyCircle's blog article - The Life History of the Chequered Lancer.